Robbie Williams will go head-to-head with Olympic athlete Usain Bolt at the 2018 Soccer Aid charity game. The Rock DJ singer will serve as the captain of the England team, while Olympic sprinter Bolt will head up the World squad in the latest edition of the charity tournament, which Robbie co-founded in 2006. 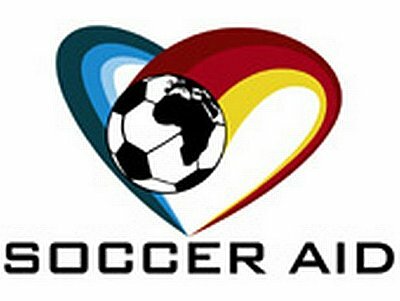 "I am buzzing that Soccer Aid for Unicef is back," Robbie said in a statement. "Reclaiming the title for England this year is going to taste so much sweeter with Usain leading the Soccer Aid World XI. I can't wait to lead out the England team on Sunday 10th June at Old Trafford in what really is a game like no other. With your support, we will help children in danger around the world." Retired athletics star Bolt, who will be playing his first official soccer match, said his team will be unbeatable and that he already has a special celebration planned for when he scores. "It is my dream to make it as a professional footballer, so to be able to step out onto the pitch at Old Trafford in June, and play against some of football's biggest legends is going to be remarkable," he said. "I enjoy the thrill of competition in front of a crowd, so Robbie and his England team better watch out as I won’t be going easy on them!" 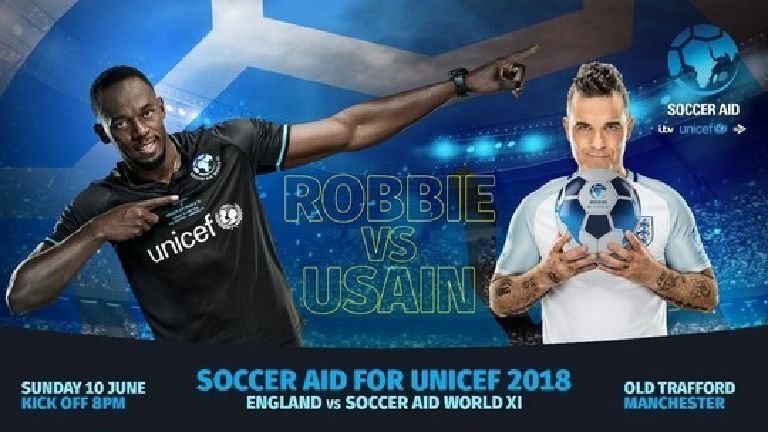 Robbie and Usain, who have recorded an advert for the competition, will be joined by celebrities and soccer legends which have yet to be announced. The match will take place at Old Trafford stadium in Manchester, England on June 10 and will be broadcast live on ITV in the U.K. All profits from ticket sales and viewer donations will be given to United Nations Childrens' Fund (UNICEF) UK, for which Robbie serves as an ambassador.